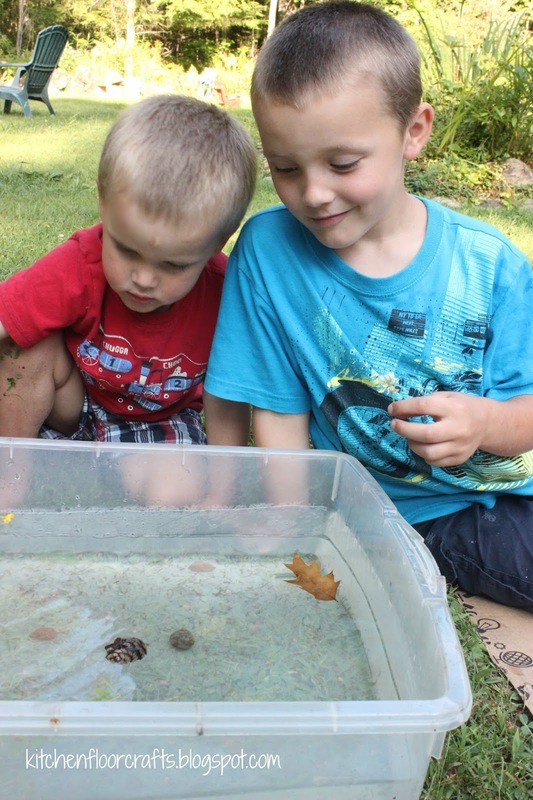 The last few weeks have been so hot weather wise that it's been a little hard to get into the mood for autumn and we've been finding ourselves thinking back to summer fun. 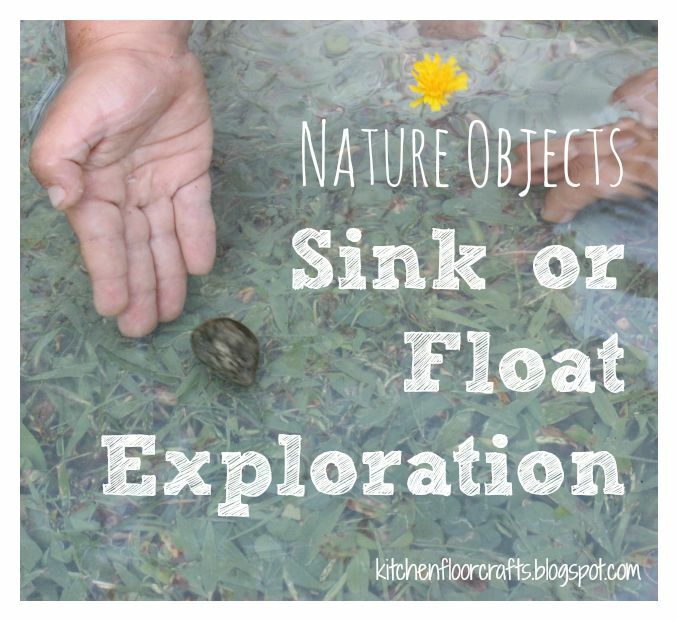 One activity we've enjoyed on hot days in the past is doing a Sink or Float exploration. 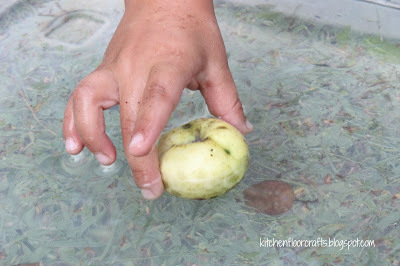 For this exploration we took it outside and collected items from nature to experiment with. Materials for this type of set-up can be easy: a plastic tub with water and some found objects. We like to add in a record keeping sheet as well. 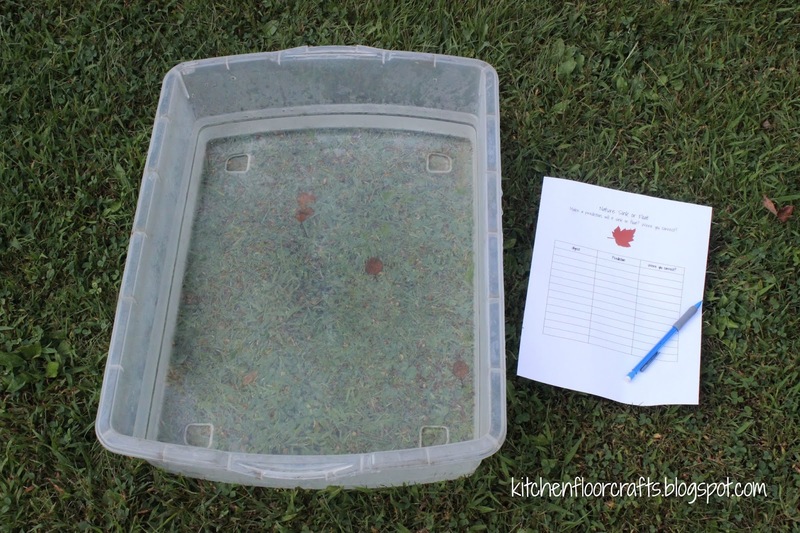 We use the sheet to list the object, make a prediction about whether or not it will sink or float, and then write down if we were correct. 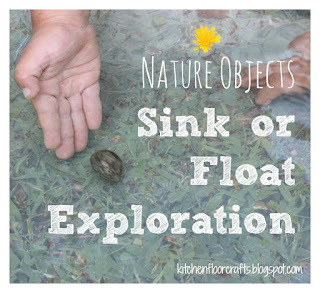 Click here for a free printable copy of the sheet we used for this exploration. 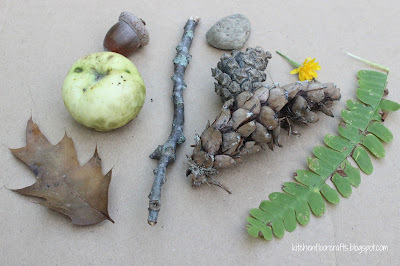 The boys and I searched the yard for some different natural objects. 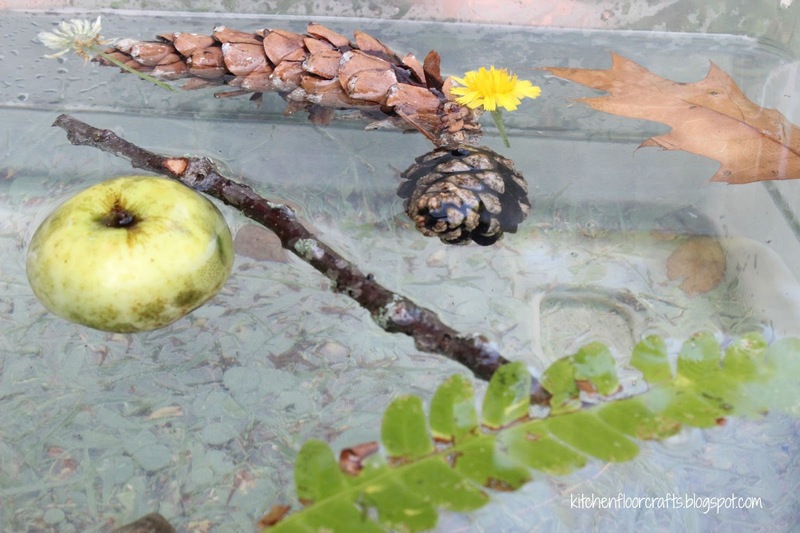 For this exploration we came up with: a crab apple, an acorn, a stick, two different sized pinecones, a rock, a flower, and a fern. The boys took turns selecting an object and then making a prediction about whether it would float or sink. Big Brother was pretty much always on target with his predictions. For Little Brother, he was actively learning during the process and was surprised a few times when something floated. For the most part everything floated except our rock (the leaf would sink if it was pushed down to the bottom.) We continued to record our objects, predictions, and results. Not only was this activity great for a hands-on (and after school) learning experience, but it also gave us a chance to cool off a little by playing in the water. 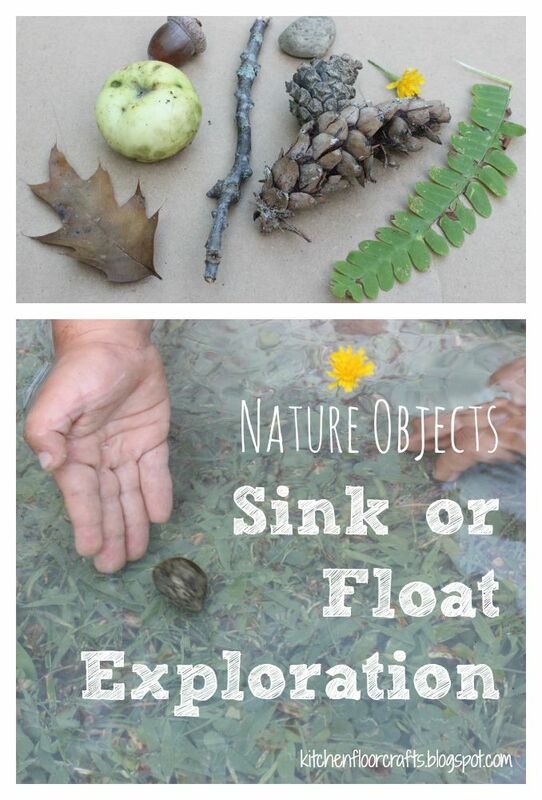 With temps still up in the 80's, we may be experimenting again with another sink and float activity soon!